Is your home drafty? Are your energy bills high, even though you know you have the proper amount of insulation? There are issues outside of insulation that can keep your home from cooling and heating properly. Air leaks are a common problem with both older homes and new construction. 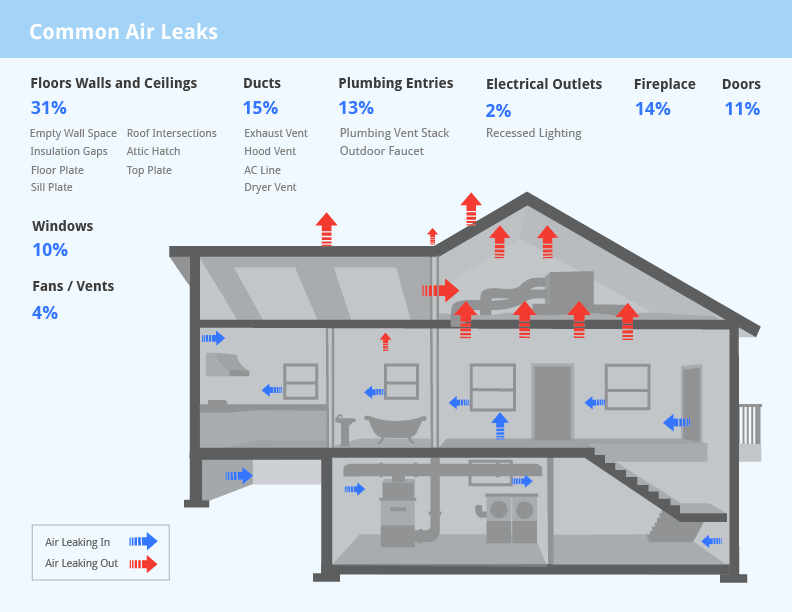 Air leaks can lead to higher energy bills, can put a strain on your heating and cooling equipment, and can cause low air quality in your home. A home that is properly air sealed, with the use of energy-efficient techniques, can save a homeowner up to 35 percent on your annual energy costs. Does your Home need to be Air Sealed? 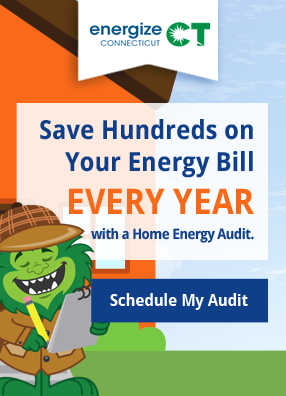 If you have problems with drafty rooms, high heating and cooling bills, ice dams around your eaves in the winter, dry indoor air quality, uneven temperatures from one room to the other or excessive dust, you need to have a home energy assessment performed by a professional who knows what to look for regarding your homes efficiency. Insulation – The most obvious issue with your homes efficiency is the amount of insulation that is in the attic, walls, floors and crawl spaces of a home. The contractor will measure the thickness and placement of your insulation to determine if you have the proper amount installed for the climate of Connecticut. 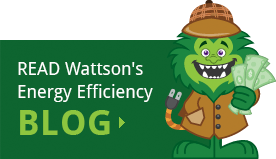 While a lack of insulation may be one culprit in your homes energy usage, it is not the only culprit. Blower Door Test – Using a large fan that is fitted to a frame that attaches to a door on your home, a technician lowers the interior air pressure of your home, which will draw outside air through any cracks or crevices that you cannot see with the naked eye. During the test, they may use smoke pencils or other methods of detection to determine the location of the air infiltration. Thermal Imaging Test – Using high tech thermal imaging technology, the energy audit technician can actually see the hot and cold spots of your home. Areas of air infiltration and air loss are detected by using a thermal imaging camera. The use of this method of detecting leaks is that it can clearly show air movement in a visual form that helps technicians locate air leaks in your home. Thermal imaging can air leaks, as well as areas of your home that are not properly insulated. Are your ducts leaking? – An energy assessment will answer this question, too. Ducts that leak into attic and crawlspaces, attics and basements, not only waste energy, duct leaks can also strain your HVAC system and shorten its lifespan. Whether you choose to perform the repairs that are found in an energy assessment or have them contracted out, the savings that you earn from the upgrades to your home will outweigh the expense, in the end. Your home will be more comfortable, your energy bills lowered and the air quality of your home improved. Call for a energy assessment today and start saving money. Air infiltration can account for 30 percent or more of a home’s heating and cooling costs and contribute to problems with moisture, noise, dust, and the entry of pollutants, insects and rodents. Properly air sealing such cracks and openings in your home can significantly reduce heating and cooling costs. 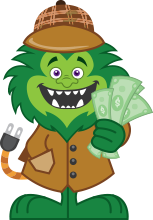 The Energize CT Home Energy Assessment is only $149 and includes testing and installation of various energy-saving equipment. This is a $1,000 value. See what’s included in your energy assessment. Yes! financing is available subject to credit approval. Please call us for more details. What Type of Insulation Do You Use? We use the greenest of green products! The Blown-in Cellulose product that we use is not only green, but it’s also safe; it’s only treated with 100% pure Borate.